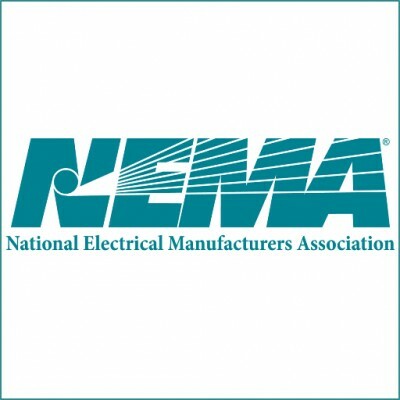 Focusing on the Bill's proposed changes to section 28 of NEMA, regulating the duty of care and remediation of environmental damage. The section 28 duty of care under NEMA requires every person who causes, has caused or may cause significant pollution or degradation of the environment to take reasonable measures to prevent such pollution or degradation from occurring, continuing or recurring, or, in so far as such harm to the environmental is authorised by law or cannot reasonably be avoided or stopped, to minimise and rectify such pollution and degradation of the environment. "Reasonable measures" include measures to: investigate, assess and evaluate the impact on the environment; cease, modify or control any act causing pollution or degradation and remedying the effects of pollution or degradation. This duty is applicable to, among others, an owner of land or premises, a person in control of land or premises or a person who has a right to use the land or premises on which or in which (i) any activity or process is or was performed or undertaken; or (ii) any other situation exists, which causes, has caused or is likely to cause significant pollution or degradation of the environment. Currently, failure to comply with this duty could result in the competent authority issuing a directive against the person who is causing, has caused or may cause significant pollution or degradation of the environment. A directive would typically require a person to cease operations and commence taking certain measures within a specified period of time. 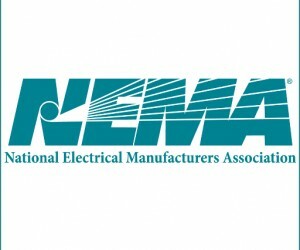 The Bill proposes to amend NEMA to allow a directive to be issued to any other person to whom the duty of care applies. This is significant because the competent authority will be empowered to issue a directive to a person or persons who may not be the cause of the harm or potential harm to the environment thereby making them independently liable for undertaking reasonable measures. The Bill also proposes to extend the power to issue directives in terms of section 28(4) of NEMA to "a municipal manager of a municipality". Although only the Director-General of the Department of Environmental Affairs, the Director-General of the Department of Mineral Resources or a provincial head of department are empowered to issue a directive in terms of section 28(4) of NEMA, local authorities are currently empowered in terms of section 31A of the Environment Conservation Act, 73 of 1989 (ECA) to issue similar directives to any person who is or may be seriously damaging or detrimentally affecting the environment. The Bill's proposed amendments to empower local authorities (i.e. municipal managers) to issue section 28(4) directives may mean that we could see the remaining sections of ECA being repealed at some point in the near future. This would help to consolidate the environmental regulatory framework in South Africa. Lastly, the Bill proposes to amend section 28(9) of NEMA to incorporate joint and several liability for costs which a competent authority may incur in taking reasonable measures where a directive has not been complied with or has been inadequately complied with. The following persons will be liable for these costs on a joint and several basis if they failed to take reasonable measures required of them in terms of the duty of care: any person who is or was responsible for, or who directly or indirectly contributed to the pollution or degradation; the owner, person in control of land, or person who had a right to use the land when the pollution or degradation or potential for pollution or degradation occurred, or that owner's successor in title; and any person who negligently failed to prevent the pollution or degradation from happening. The changes proposed by the Bill will enable the authority to apportion liability among the above persons, but any apportionment will not relieve these persons of their joint and several liability for the full amount of costs. In addition, the competent authority will be able to claim proportionally from any other person who benefited from that authority taking the required reasonable measures itself. The Bill's proposed amendments in relation to liability will greatly assist authorities in recovering their costs, especially since the authority will no longer be limited to apportioning liability according to the degree to which each person was responsible for the harm to the environment. The proposed amendments to section 28 of NEMA will enable local authorities, in addition to the current provincial and national authorities, to issue directives for non-compliance with the duty of care against people who may not have caused pollution or potential pollution of the environment. The proposed amendments will also make it easier for authorities who are forced to take reasonable measures themselves, to recover their costs. These amendments aim to highlight that the duty of care provisions which place an independent and autonomous duty on each and every person to ensure that harm is not caused to the environment. Owners, users and operators of land or premises, among others, are advised to educate themselves and their employees about the section 28 duty of care under NEMA and what reasonable measures are required to be taken in order to comply with this duty. This is necessary in order to prevent harm or potential harm to the environment and avoid any associated liability.